When you love something – especially when it loves you back – you want to protect it. 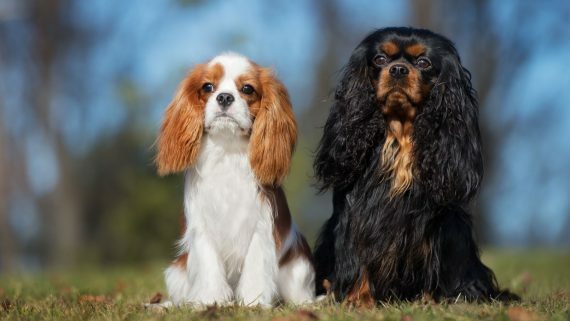 That’s why Cavalier King Charles Spaniels (CKCS) owners and enthusiasts founded the Cavalier King Charles Spaniel (CKCS) Health Research Endowment: They want these dogs to live long, healthy, joyful lives. Certain genetic issues attack Cavaliers often and early. 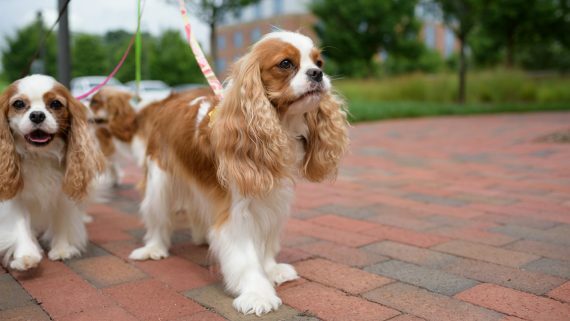 Research will focus on the all-too-common mitral valve disease (MVD) and syringomyelia (SM), but it will extend to other issues that affect Cavaliers, from ocular difficulties to orthopedic problems. While this fund is exclusively focused on CKCS research, when breakthroughs come, they’ll benefit other breeds as well. Any dog might get MVD, but it’s 20 times more prevalent in Cavaliers and the leading cause of death. It occurs when the valve regulating the left ventricle of the heart fails, and some oxygen-rich blood headed to the rest of the body leaks back into the heart. If untreated, congestive heart failure kills the dog. Though SM isn’t fatal, it’s a painful condition known as “neck-scratcher’s disease,” because dogs commonly scratch in the air near their necks. Researchers estimate more than 90 percent of all Cavaliers have a malformation that squeezes the brain’s cerebellum through the foramen magnum, the hole at the back of the skull. That partially blocks cerebrospinal fluid from flowing down the spinal cord, and variable pressure from that abnormal flow creates fluid-filled cavities near the brain. Drugs help with both conditions, and they’re more effective now than they were even a few years ago, But no cure has been discovered for either disease. Cavaliers are known for being full of life. Let's make it longer. First, money for animal research is limited. Putting this fund at a vet school, rather than a place that makes grants to various institutions, means scientists can share advancements with each other to make research move forward faster. Second, Vet Med is already doing significant research into MVD and SM in Cavaliers. It’s ranked among the nation’s top four vet schools by U.S. News & World Report and considered the leader in transformative canine health research. 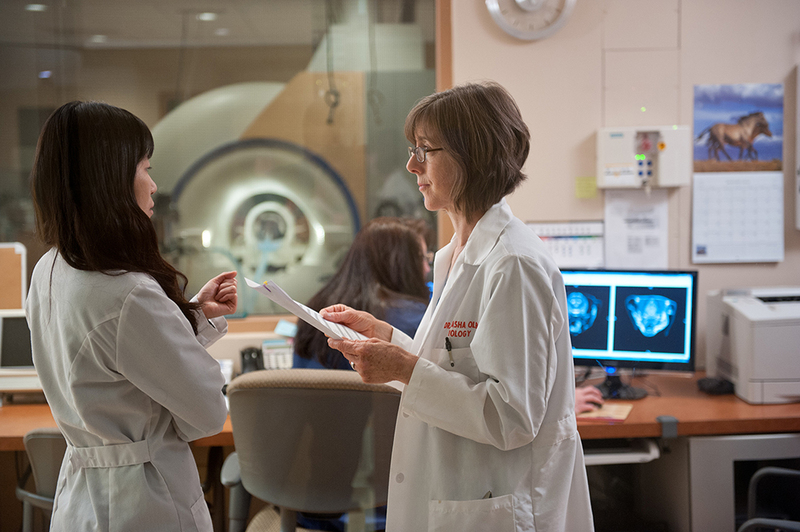 World-renowned faculty and clinicians remain at the forefront of interdisciplinary biomedical innovation. 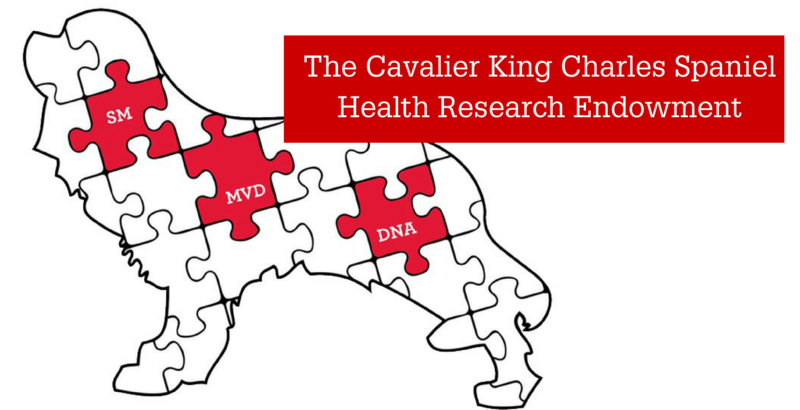 Research proposals focused on significant health threats to Cavaliers are submitted to a grants committee for review. The Associate Dean of Research and Graduate Studies (or his/her designee) then awards them. 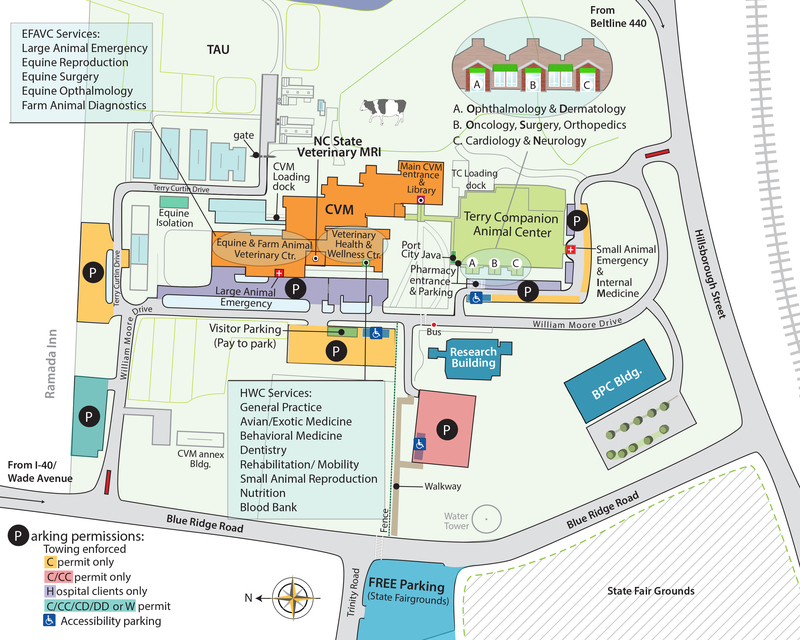 The CKCS Health Research Endowment is designed to sustain itself, funding genetic trials that could lead to life-improving advances. If money becomes available, the fund will also give scholarships to researchers who tackle pertinent canine health problems. 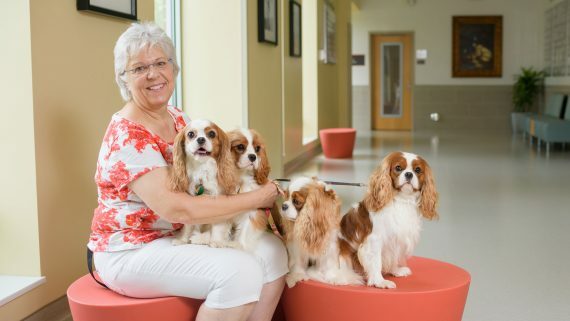 The founders and the veterinary school share a vision: Vets across the U.S. who understand the special needs of this breed, ensuring that Cavaliers – and, ultimately, all dogs – are no longer at high risk for MVD, SM and other genetic diseases. 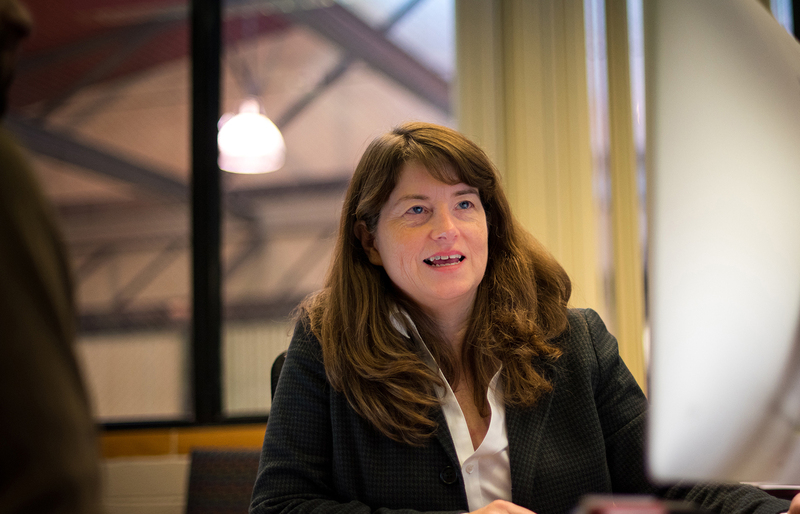 As a veterinary cardiologist, Kate Meurs is intimately familiar with MVD. Dr. Meurs, the recipient of the Mark L. Morris Jr. Investigator Award and the associate dean of research and NC State Veterinary Medicine, is studying the genetics underlying MVD in hopes of finding genetic variants associated with disease development. Once these variants of heart disease are identified, she wants to use the information for both prevention and treatment. Natasha Olby is a professor of neurology who specializes in small animal neurology and neurosurgery. Dr. Olby is the 2014 recipient of the Faculty Achievement Award from the American Association of Veterinary Clinicians. The award is presented to an AAVC member who has achieved national recognition in academic or institutional practice, teaching, research, or in another endeavor that advances veterinary medicine. 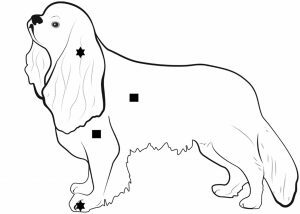 Research on Cavalier King Charles Spaniels with and without chiari-like malformations and syringomyelia has found that mechanical sensitivity appears to be connected to the presence of pain and clinical signs. Cavalier King Charles Spaniels suffer pain associated with the conditions, as do humans who often describe sensory abnormalities associated with them. Sensory changes have not been previously quantified in the breed. The study published in the Journal of Veterinary Internal Medicine, says that mechanical testing may be useful to assess sensory abnormalities during clinical trials. Philanthropic donations are necessary to advance the important research benefiting the health and future of the long-historied and valued CKCS breed. Much of the information and knowledge gained through the research will also be applied to other small breed dogs. Your support will greatly assist in our work to ensure that Cavalier King Charles Spaniels have the opportunity to live long, healthy and joyful lives. There are several convenient ways for you to participate in support of the CKCS Health Research Endowment. We are happy to answer your questions and provide the necessary information to help you structure a gift appropriate to your interests and circumstances. Please contact us at 919.515.2011 regarding any additional information you, your accountant or attorney may need. If you are interested in making a contribution of cash, please make your check payable to North Carolina Veterinary Medicine Foundation (NCVMF) or use the online giving option included on this website. Please note on your check that your gift is being made in support of the CKCS Health Research Endowment. If you would like to know more about how you may increase the size of your gift without the cost of tax liabilities, please contact us. We can also assist you with the information you need to include the CKCS Health Research Endowment in your will. We would be pleased to provide you with information about a variety of planned gifts including charitable remainder trusts, charitable remainder annuities, deferred charitable gift annuities, retained life estates, and charitable lead trusts. We’re happy to answer questions, provide resources and help you structure your gift.